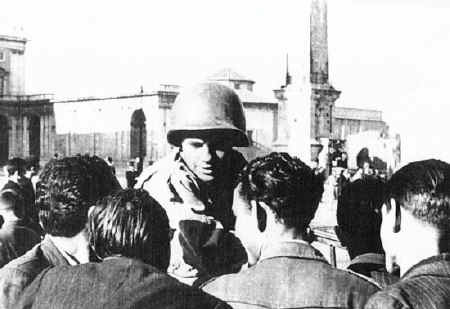 The story of Alfonso Felici is not just another war story. He is quite a man. Dubbed the "Fighting Paisano" by American troops during World War II, he was an italian fighting with the United States Army in Italy, France, Belgium, Germany and the Philippines. ALFONSO FELICI, was born Jan. 23, 1923 in Villa Santo Stefano (ltaly) naturalized American. He lived in Cohoes, NY and was recruited by the OSS (Office of Strategic Service). U.S. Army Branch, for his knowledge of foreign languages and deep acquaintance of Italian soil. After basic training ai Fort Dix. Felici was sent to Italy in support to their infantry divisions along Cassino and Voltumo for missions crossing of the linefront bringing precious informations to their lines. With his Special Patrol Felici on scouting strongly defended German hill positions and to capture prisoners in their own foxholes and then to be questioned by our high command of the 5th Army. Those of you veterans lo remember Ernie Pyle. Bill Mauldin's "Willie and "Joe", also may remember reading about Alfonso Felici dubbed by Ernie Pyle as *THE FIGHTING PAISAN" in a story written on "THE STARS AND STRIPES" which made Felici famous in Italy. 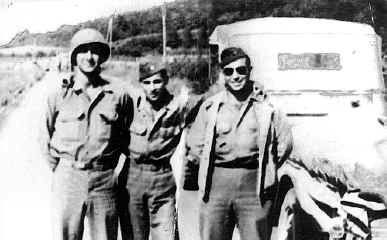 On Jan. 19,1944 orders came to Felici to join the 3rd Inf. Div. for the landing at Nettuno-Anzio Beachhead. Generai Lucian Truscott commander of the division, employed Felici as one expert scout and guide, since he knew the landing area well and his hometown was only 50 miles away. 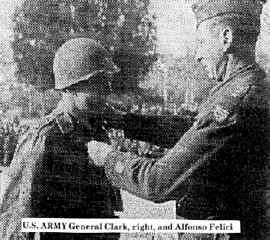 Felici fought even guiding hero Audie Murphy in patrols. He fought with the 30th Inf.. 2nd Bn., Co. F and always requested from 15th Inf. as well the 7th Inf. guiding patrols and Blitz over German lines. Generai Mark Clark often complimented personally Felici for his efforts. After many battles near Cisterna. Ponte Rotto, Isolabella and Femmina Morts Felici had to leave his buddies of the 3rd Div. tojoin later the new 88th Inf. Div. just arrived from the States and with them entered Rome and Volterra. An infantryman with the 45th Inf. Div. 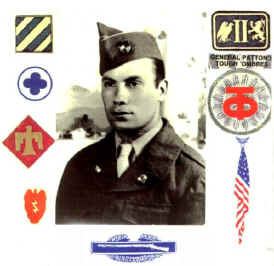 Felici later landed in Southern France and fought from St. Tropez lo Epinal and the Rhine Zone. Insatiable for fìghting fìnally Felici switched to General George Patton' 3rd Army. and with the 90th Div., 358th Inf. fought patrolling Metz, Bastogne, Germany and Czechoslovakia. But had to be bom the one who could stop "The Fighting Paisan at war. After VE-Day, Felici asked to be sent to the Philippine Islands. There with the 25th Inf. Div., in more than a month fìnished his fìghting career. Shortly before V-J Day he had a minor wound and came back to the States. 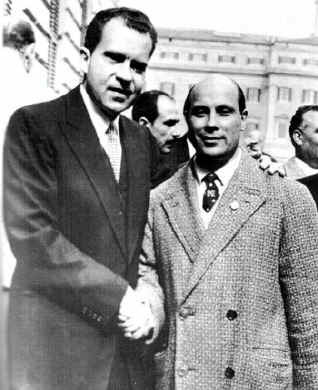 At Letterman Hospital of San Francisco, Felici received personal appreciations from General Dwight Eisenhower, who later becarne his best friend helping him in his presidential carnpaigns 1952-1956, as a member of the Republican National Committee.Discharged at Camp Stoneman, CA in 1946 as a staff sergeant. He was awarded a Silver Star, Bronze Star, Combat Infantry Badge, Purple Heart, European African Middle Eastern Service Medal, Rifle Expert M-1, Good Conduct Medal, Expert Bayonet, French Citation and Croix de Guerre. 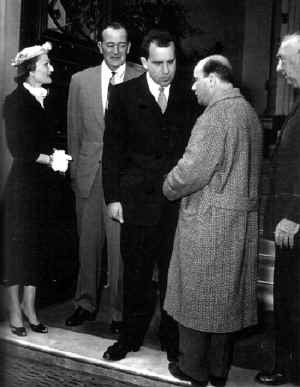 In 1946 Felici spent some time in Hollywood as a movie assistant director for Frank Capra, William Wyler and Joseph Mankievitz. In 1957 he married Mina Toppetia (an Italian girl born in Felici’s hometown of Villa Santo Stefano) and they have four children: Alberto, Marco, Flavia and Bruna. Felici worked for 30 years with Alitalia Airlines in New York, Boston, Chicago, and Rome. Retired in 1988 he now lives in Rome as an American citizen visiting the States often. He is a member ofthe Society of the 3rd Infantry Div. He assists every American veteran going on visit at Nettuno's Military Cemetery and led them in battlefield's places finding their own foxholes. Felici is always present on ceremonies at the War Cemetery of Nettuno on Memorial Day. Of the 3rd Div. buddies he remembers ali, bui his fondness is oniy for two: Mario Lucido from Hollister, CA who fought with him at the Beachhead. Often they meet in USA or Rome and while they drink a glass of "Vino" together they say: "Viva that Dog Face Soldier". The other buddy is Pfc. 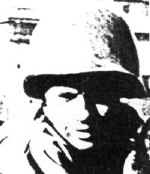 Charles H. Willard of East Orange, NJ who was killed in action near Cisterna. Willard was a close friend and for him Felici can only place a flower over his grave!